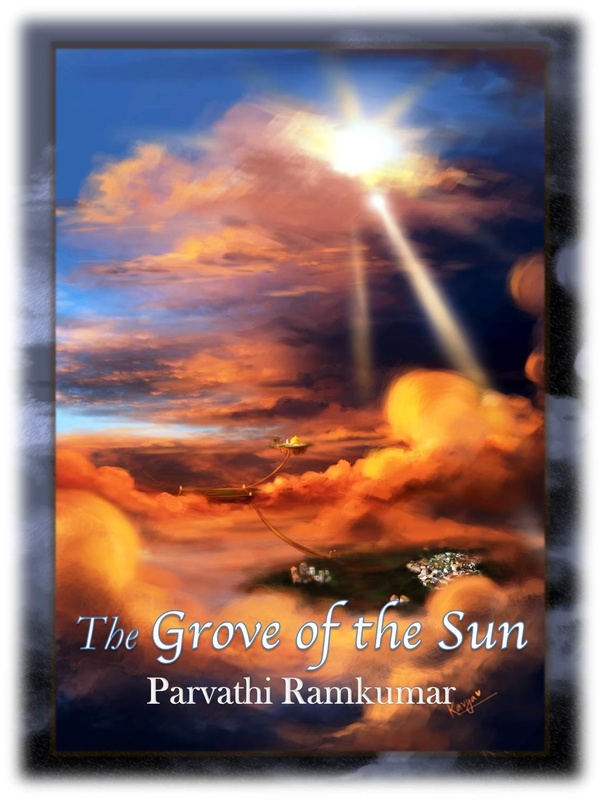 A fantasy tale about redemption combined with beautiful artistry and complex characters draws readers into the novel The Grove of the Sun by author Parvathi Ramkumar. A magical journey that revolves around one character’s desire to save his land and his personal struggles while doing so. Fantasy lovers will enjoy stretching their imaginations in this intriguing tale. Tell us a little bit about Parvathi Ramkumar, and how long you’ve been writing. I’m an author and freelance journalist, as well as a professional book reviewer for a major newspaper in India. I’ve been writing for over twenty years, I began when I was seven. It’s always been a passion. How would you describe the synopsis of The Grove of the Sun? The Grove of the Sun is a poetic tale of magic, Order and Chaos, and one man’s discovery that the life he was taught to believe was true might be an illusion. I like a variety of genres, and my tastes in reading are pretty eclectic. I do have a particular liking for fantasy and science fiction, though. Is The Grove of the Sun your first book? It’s the first book I’ve published, yes. What was the inspiration for the subject matter? It was inspired by a strange and vivid dream I had many years ago. Some of the setting for the book and part of the plot came from that dream. How long did it take you to research and write The Grove of the Sun? A little over seven years. It was a little longer than I’d initially anticipated, and there was so much I needed to know and work on. Whereabouts did you research for the novel? A lot of the subject matter came from Indian myths, and I also did some research on esoteric themes for the presentation of Order and Chaos in the book. How would you describe your protagonist? Ildanis? He’s lighthearted and warm, with a streak of ingenuity that often leads him to situations he’d love to avoid. What’s your prime motivation when you write a novel? To tell a story. I love creating worlds and characters, and I love putting them all together to weave a tale. Do you have any writer’s habits that are a must when you sit down to write? Well, I do prefer silence. Also, my desk has to be neat, just so. Anything out of place is terribly disturbing, even that pencil right there in the corner where it shouldn’t be. Do you like to dabble in other genres? Yes, I find literature and poetry fascinating. As well as children’s fiction and magic realism. What next on your plate? I’m working on a couple more books, including a children’s book. Where can readers find out more about you and your novels? My website, www.parvathiramkumar.com, has more about me and my work, and I’ve created a Facebook page for my book, www.facebook.com/thegroveofthesun. I’m also active on Goodreads.